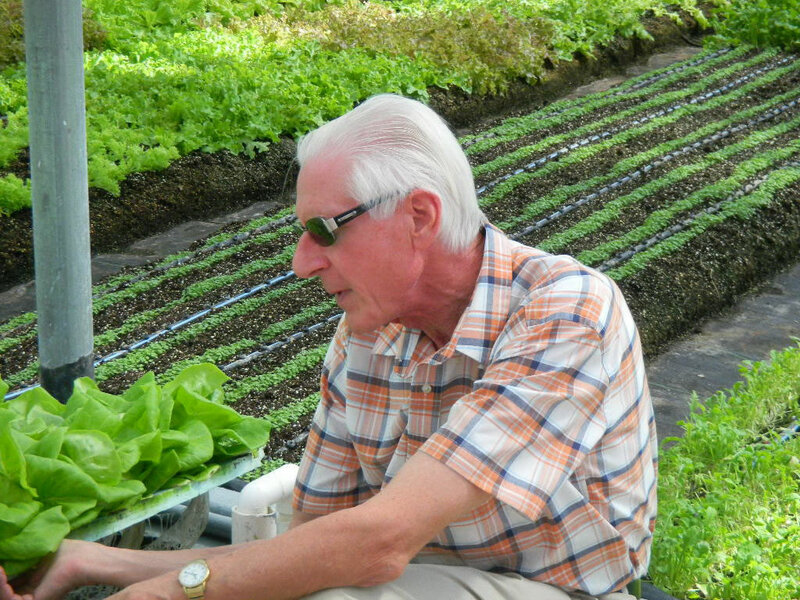 DR. Howard M. Resh, PhD is a universally known hydroponics researcher, author and practitioner and one of the world’s true pioneers in the field of hydroponics. 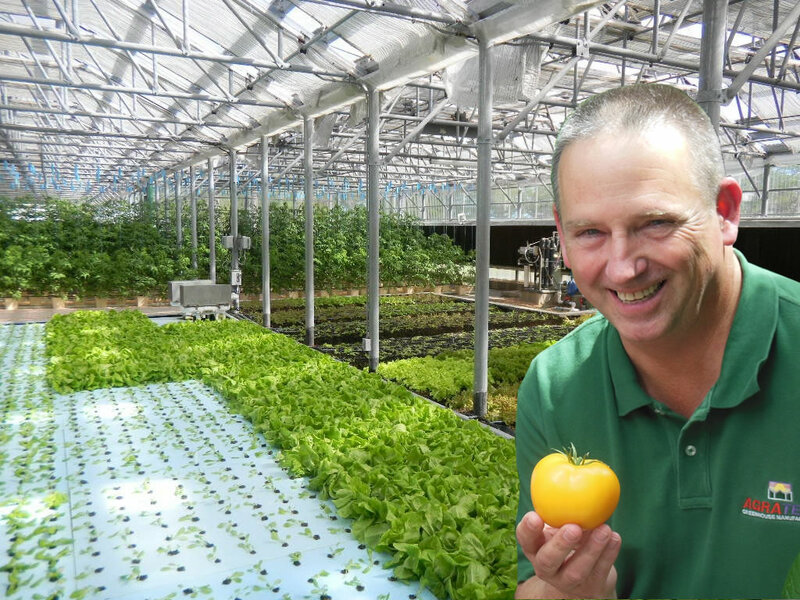 He has incorporated commercial greenhouses from Agra Tech, Inc., one of the world’s leading manufacturers of greenhouses and considered a leader in the field, into several of his projects over the years and was kind enough to be interviewed for this article. Well-known for implementing and managing commercial hydroponics operations worldwide, Dr. Resh has been the pivotal force behind successful hydroponics farming ventures in Taiwan, Saudi Arabia and Venezuela, in addition to his efforts throughout North America. While he was a graduate student at the University of British Columbia, in Vancouver, B.C beginning in the early 1970s, Dr. Resh developed plant cultural techniques and three-part nutrient formulations for the growing of vegetable crops in greenhouses, many of which are designed and built by Agra Tech, Inc. In 1999, Dr. Resh started a hydroponics farm on the island of Anguilla, B.W.I, in the Eastern Caribbean where he farms today, featuring an Agra Tech commercial greenhouse to grow more than 60 types of vegetables and other plants. Since 2007, Dr. Resh and his colleagues have been intensely studying hydroponic greenhouse issues in temperate and tropical regions on the planet, including Central and South America, Mexico, the Caribbean and Hawaii. Known as an urban horticulturist, Dr. Resh strongly believes that progressive farming can take place at a high level of productivity in even the most crowded cities in the world. He acts as a consultant on a wide range of commercial hydroponic projects and has received numerous accolades for his work, lauded for being an author and an amazing educator at the university level. Many of his students have gone on to excel in the hydroponics greenhouse farming industry all over the globe, and utilizing greenhouses made by Agra Tech, in many instances. In mid-1999, Resh became Hydroponic Greenhouse Farm Manager for the first Hydroponic Farm associated with a tourist resort: the Cuisinart Resort & Spa, in Anguilla, B.W.I. in the northeastern Caribbean. The project, which uses multiple greenhouses manufactured by Agra Tech, Inc., the Cuisinart hydroponic farm is the only one in the world owned by a resort growing its own fresh salad crops and herbs exclusively for the resort. We sat down recently with Dr. Resh to find out what he’s currently working on while maintaining and developing new crops at the Cuisinart hydroponics greenhouse farm. Hello doctor. What are some of the newest and most intriguing developments within the hydroponics greenhouse growing field that you’re working on? It’s definitely an exciting time within this industry. Now the hydroponics culture is being applied under many extreme conditions that were never even remotely considered by anyone before. For example, hydroponics is being performed successfully at a space station under zero gravity using water culture systems, and implemented in the growing of fresh salad crops in Antarctica. I know you’re working on the creation of hydroponic farms on rooftops of buildings in cities? Yes, it’s a concept that isn’t new. We created a rooftop farm in Taipei, Taiwan in the mid-1980s. We’re very excited about these rooftop farms, because they can be used in the middle of some of the busiest and most crowded municipalities in the world. This is one of my real passions right now, because it is green and can help city dwellers to get fresh produce that is local, regional and sustainable. People of all backgrounds are entering this industry and encountering great success, in many cases. Why do you think it’s grown at an explosive rate especially during the last decade? Hydroponics is a very unique form of agriculture that can be applied either on a very simple basic level all the way to extremely sophisticated scenarios, from a backyard hobbyist to growing crops using hydroponics in a space station, for example. People from former in-ground farming backgrounds have embraced this form of farming and are purchasing commercial greenhouses from companies such as Agra Tech in California. The keys to this form of farming are climate control, quality crops and more production, as opposed to conventional types of farming. It has opened the industry to a whole new group of participants and has introduced more science into the art of hydroponic growing. Also, it’s a green approach–saving water, soil and electricity in many cases—so people gravitate toward it for these reasons too. I understand that you’re using Agra Tech greenhouses in your Cuisinart hydroponic farm? Yes, we do use a greenhouse from Agra Tech, designed to withstand hurricanes, because that is an issue here in Anguilla. We grow cherry and beef tomatoes, radishes, basil, large plants, European cucumbers, red, yellow and orange peppers, all types of lettuce, micro greens, mint, thyme, rosemary, lavender and everything we need for the hotels and restaurants at the resort. For more information and photos of this farm, you can visit my web site at: www.howardresh.com. The guests here appreciate the fresh vegetables and it’s been a very successful farm. 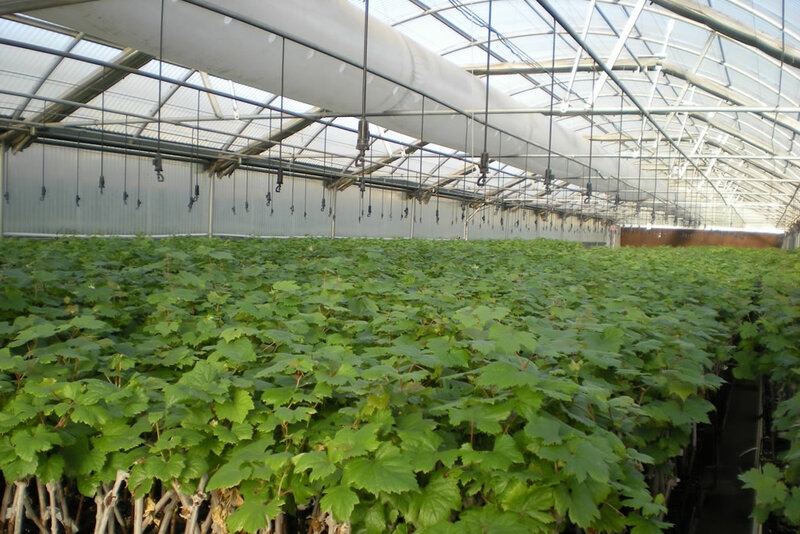 What is the most innovative hydroponic greenhouse farming project you’re working on now? Farms like this one here in Anguilla will soon be sprouting up all over the world, I believe. I’m presently working on one in Mexico and another in Puerto Rico. Hopefully these two will be happening later this year. All kinds of people are getting into this business (retirees, military veterans, job changers, etc.) and making substantial profits. Why do you think so many former non-farmers are attracted to these hydroponic farms in greenhouse environments? It appeals to a lot of retirees, especially if they’re semi-technical people, like engineers, because there is a lot of engineering involved in hydroponic farming. It turns them on and they respect the fact that they’re creating food, that’s a big aspect of it. If this new generation of farmers can find the proper markets to sell their crops, then that makes it more likely that they will succeed. It all comes down to where the farm is and what the markets in that area are willing to pay. This industry has become so much more sophisticated and it has changed a lot, due to the technology. Now it’s all about sustainable yielding, which means these new farmers want to generate their own electricity with solar cells and conserve energy more and more. "We have worked with Agra Tech and Ag-Con previously, so we’re very comfortable with both companies and know we’ll be getting some of the best service available,” Farris explained. “In fact, Agra Tech has built all of the greenhouses we have here currently, except for the original one that was built back in the 1940s. Working with the Pound family and Jim Bergantz our ATI rep, not to mention all of the amazing folks in their office–it is great to be working with some of the finest and smartest people in the industry today."